Ginni Garner, Executive Search Consultant serving clients in the Consumer Health & Nutrition sectors. 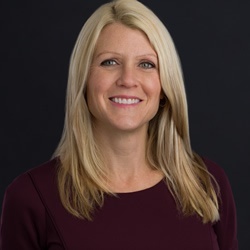 Ginni Garner is the Managing Director of The Garner Group, a division of Sanford Rose Associates that focuses on placing executive and management talent with Consumer Health and Nutrition companies throughout North America. The Garner Group's clients span an array of entrepreneurial and equity-backed firms as well as the Fortune 1000 in the CPG, dietary supplement, nutraceutical, nutritional ingredient and functional food & beverage sectors. Ginni has over 19 years of executive search consulting experience. Prior to joining Sanford Rose Associates and starting The Garner Group, Ginni recruited for the global search firm, Heidrick & Struggles, Inc., as well as several boutique search firms in Cleveland, Ohio. In addition her experience in the "healthy living" CPG sector, she has extensive recruiting background in manufacturing, technology, business process outsourcing and healthcare. In 2001, Ginni joined SRA International, Inc., the parent company of Sanford Rose Associates, where she trained and supported SRA business owners and recruitment consultants across the United States. In 2004, she assumed leadership of a Sanford Rose Associates office in Northeastern Ohio where she currently partners with Consumer Health and Nutrition clients throughout the United States and Canada. She and her team fill critical executive, senior management roles, and key functional positions in Operations, Research & Development, Quality, Regulatory, Sales and Marketing. Ginni has a Bachelor’s degree in Liberal Arts and a Masters of Business Administration. She is also the co-author of The CEO’s Guide to Talent Acquisition. Critical to her team's success are the industry relationships and extensive network they have built. The Garner Group is a member of the American Herbal Products Association (AHPA), Council for Responsible Nutrition (CRN), Consultants Association for the Natural Products Industry (CANI), National Animal Supplement Council (NASC) and Society for Human Resources Management (SHRM), Institute of Food Technologists (IFT) and Consumer Health Products Association (CHPA). You will often find Ginni or her team members at the major industry trade shows: SupplySide, SupplyExpo, ExpoWest/East, IFT and the NBJ Summit.